The roar of the waves underneath your sailboat. The scent of sunscreen permeating the air. The warmth of the sun baking your skin. You must be parched! Pull up to one of these fine establishments for some refreshment! Blackwater’s philosophy has been that marketing and advertising might be able to get someone to buy the first bottle, but it can’t keep them coming back for more. What is inside the bottle has to be better than what the customer is used to. It’s all about what’s in the bottle for them, and they have grown to where they are today largely on word of mouth about world-class spirits being made right here in Maryland. 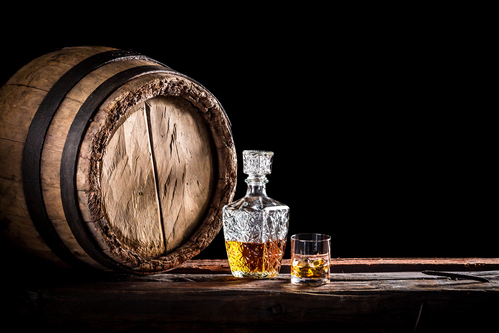 For them, that means working with a combination of spirits they distill in-house and spirits they source from outstanding producers around the world—and, most importantly, being honest about which is which. In 1703, a man named Benjamin Fordham began the first industry of the new provincial capital, soon to be re-named Annapolis. Nearly 300 years later, Fordham Brewing Company was re-established at a new location at the Rams Head Tavern in Annapolis. As time went by the brand continued to grow and in 2007 Fordham joined forces with Old Dominion Brewing Co. Today, Dover, Delaware is home to Fordham & Dominion where they welcome you to stop in for a tour, a tasting, or one of their many exciting events throughout the year. Ram’s Head remains a great friend of the brewery, featuring 5 full-time drafts and rotating seasonal beers throughout the year. Enjoy their Taste of the Taps and the tradition of delicious craft beers from Fordham and Dominion Brewing Company. Inspired by the Reinheitsgebot (aka German Beer Purity Law) of 1516, the Gordon Biersch experience rests upon the basis of purity, simplicity and precision. Their philosophy is most recognizable in their selection of authentic German lagers, each crafted on-site using only the best malted barley, hops, yeast and pure, filtered water. This same dedication reaches into their kitchen, where their chefs create fresh dishes that perfectly balance comfort and excitement. What began over twenty years ago as a dream of bringing together fresh, handcrafted beer and world class cuisine – is today a reality at Gordon Biersch Brewery Restaurants from coast to coast and across the Pacific to Hawaii and Taiwan. This concept of exceptional beer and delicious food became a reality on July 6, 1988 when the first Gordon Biersch opened in Palo Alto, California. Acquired by Big River Brewing Company in 1999, Gordon Biersch currently runs 35 restaurants in the United States, including Honolulu, Hawaii. Additionally, four more Gordon Biersch Brewery Restaurants operate in Taiwan. The Gordon Biersch heritage of delectable beers, great food and good times are now being served up fresh daily. Check out our next Blog about the difference between Soft Washing and Pressure Washing!